If you are looking for a really hands-on after-school class or holiday workshop with a difference, check out Kids With Brains’ ingenious science classes. My 6-year-old son attended a recent two-hour workshop over the February half-term break, held at the delightful Pickled Pepper Books in Crouch End. The family-run bookshop is a real gem, stocking a carefully selected range of children’s books along with some for the older readers. There is a small café with play area, which hosts weekly classes and regular author events. 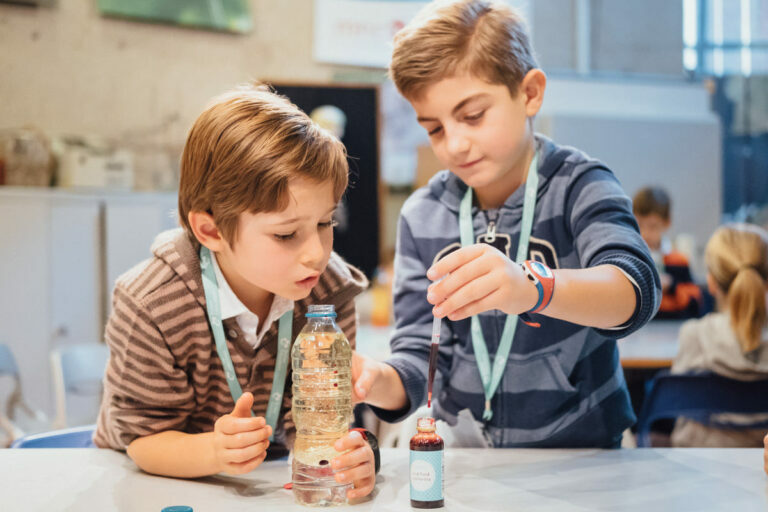 The Kids With Brains workshops are run by the bubbly Catarina Pires, who has a science degree and previously worked for a company that specialised in producing science toys and activities for children, before setting up her own business bringing science alive to primary-age children. The theme for this workshop was Roald Dahl’s Charlie and the Chocolate Factory, to tie in nicely with the workshop’s setting in a real treasure trove of books and with the upcoming World Book Day. A real Sweet Shop Science Spectacular! Catarina can accommodate 15 children at each drop-off workshop. She began by explaining the three experiments that the children would perform over the morning, and then handed out white lab coats, which really added to the professional atmosphere. Throughout the morning, Catarina had the children engaged and there was an air of surprising studiousness as they undertook their experiments. She asked the children to predict what will happen and why. The first experiment was growing giant gummy bears, which the children would complete at home overnight. Catarina handed out a gummy bear to each child in a container and explained that this was to be the “control” element. Next the children prepared a sealed container of water for another gummy bear and a further solution of salt and water. She explained the concept of osmosis would take place overnight and each child took their three containers home to eagerly watch the results compared to the control bear. The next experiment went down a real treat with the kids: creating gobstopper rainbows. The children were given a packet of sugar-coated gobstoppers and asked to arrange them on a paper plate. Then they slowly poured on warm water and beautiful colourful rainbows appeared on each plate as if by magic—just like being in Willy Wonka’s inventing room! Half of the group used cold water to illustrate that it is quicker and easier to dissolve something in warm water than cold. The final experiment was building structures out of midget gem sweets and toothpicks. Catarina encouraged the group to build squares and then move to triangles, to show these are the best and most stable shapes to build. The main purpose was not building the tallest building but the strongest and most stable structure that could stand by itself without the risk of falling apart. The children were soon completely absorbed in making elaborate towers, prisms and houses. There were certainly some budding architects in the room who were eager to bring home their creations to show their parents. Other popular experiments Catarina performs include making lava lamps, exploding volcanoes, gooey slime and dry ice. Her enthusiastic manner really helps to encourage creativity in children. With the increasing importance being placed on STEM subjects (science, technology, engineering and maths), this is a really fun way to get both boys and girls to actively participate in science. Catarina runs after-school classes in schools and other venues across North London and is always keen to hear about new locations. Look out for her Easter holiday camps in the area as well. She runs birthday parties (held at your home or in venues such as Pickled Pepper), and her workshops are suitable for ages 5 to 11 years old. 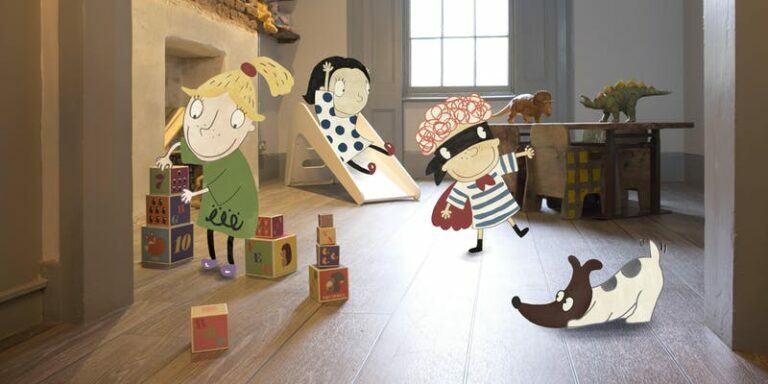 Check out her website: kidswithbrains.co.uk.